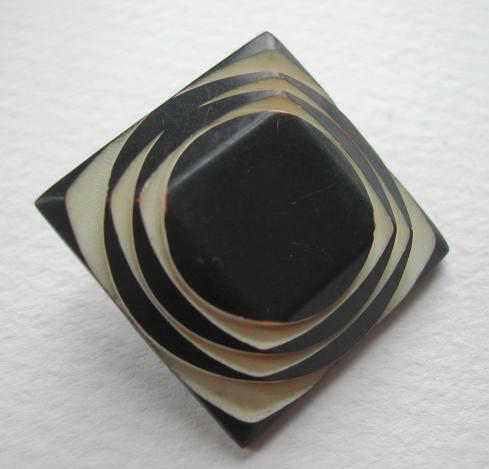 This is vintage black and white casein button, square shaped and carved in the form of a pyramid revealing the white/cream base. It dates from the Art Deco period, 1920-1930's. The button has a metal inserted shank. Size of the button is 15/16 inch on all four sides, and the button is 1/4 inch high excl. the shank.